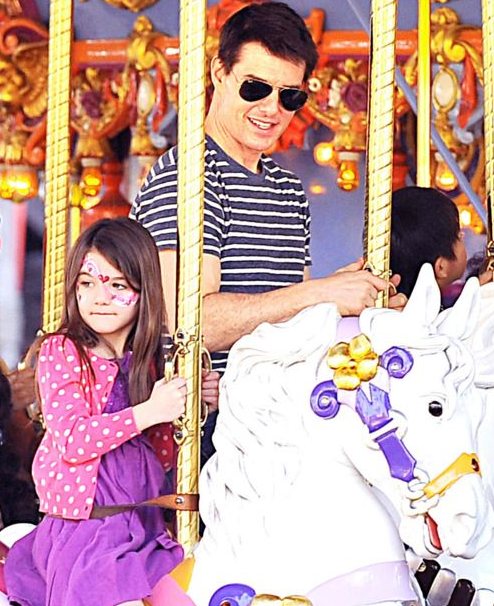 Suri & Tom spent one day at the Disneyland, CA on Wednesday, 26th. 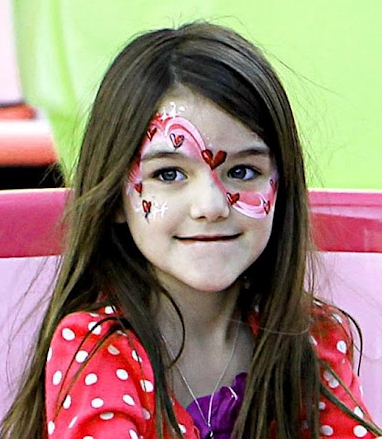 Suri as wearing Red Polka Dot Cardigan by Cherokee for Target (sold out). outfit info: dkny dress, flora&henri shoes. 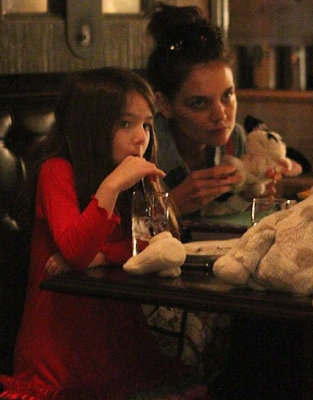 Suri & Katie left their NYC hotel and continued to the airport on Friday, 13th. 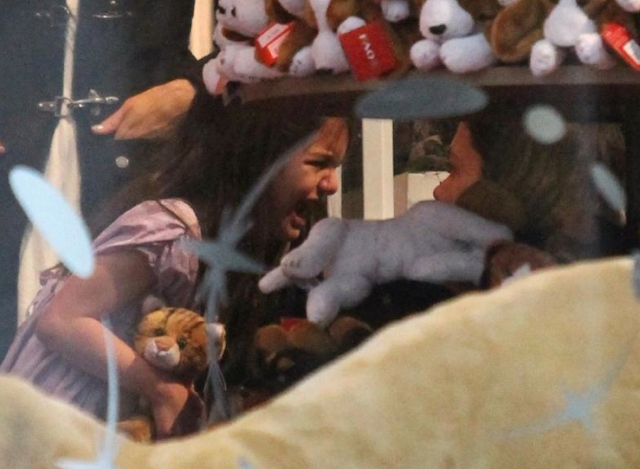 In the morning Suri & Katie went to Chelsea Piers for a gymnastics class, NYC on Friday, 13th. 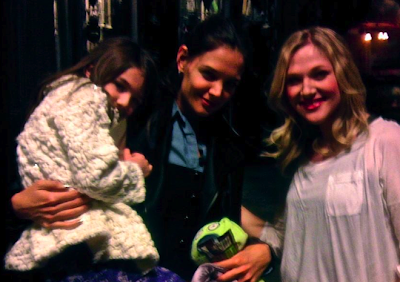 Later, Suri & Katie were spotted arriving at the Marry Poppins Broadway Show. 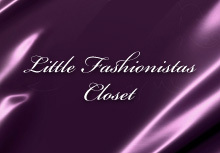 Suri is wearing La Belle Fleur Red Petals Dress by Biscotti. The Cruise Family went out to celebrate Katie's BirthDay at Asian restaurant Buddakan in NYC on Sunday, 18th. 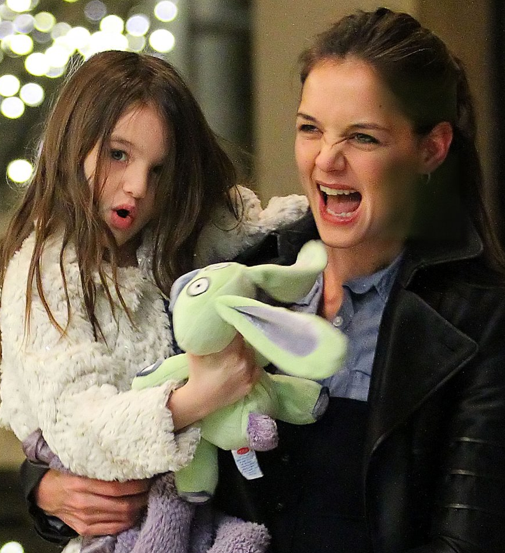 Suri was wearing her favorite Faux Fur Coat by Eliane et Lena (first worn on January 7th, 2011), Pink Silk Tiered Dress from Ruby Slippers Line FW'10 by GAP (first worn on December 16th 2011) and Gold Dance Shoes. the "Radio City Christmas Spectacular" starring The Rockettes on Saturday 17th. Suri is wearing Fluorescent Pink Nylon Leggings by American Apparel. 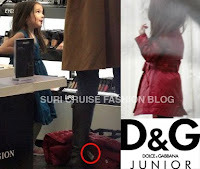 Suri was her favorite Faux Fur Coat by Eliane et Lena (first worn on January 7th, 2011), Pink Silk Tiered Dress from Ruby Slippers Line FW'10 by GAP (first worn on December 16th 2011) and Ladybug EMU boots. Suri, Katie & Tom went to see The Big Apple Circus DREAM BIG! show held at Damrosch Park, Lincoln Center in NYC on Friday 16th. 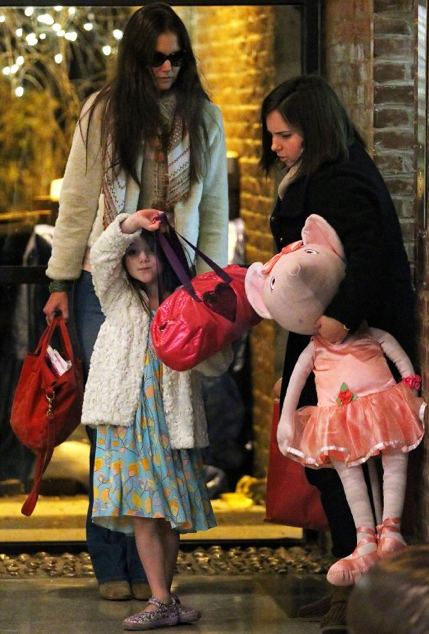 Suri is wearing Pink Silk Tiered Dress from Ruby Slippers Line FW'10 by GAP. Suri was her favorite Faux Fur Coat by Eliane et Lena (first worn on January 7th, 2011) and Gold Sandals (model 6/A0088) by A Line Footwear, (first worn on May 30th 2011). 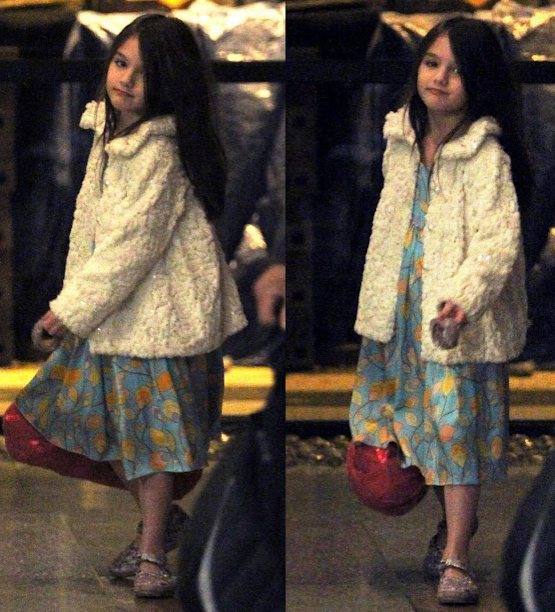 Suri was accompanied by Tom to the gymnastics class at Chelsea Piers, NYC on Friday 16th. Suri was wearing Pink Floral Dress by Missoni Kids, (first worn on July 10th 2011), Pink Ballet Leotard by H&M, (first worn on January 9th 20011), Gold Sandals (model 6/A0088) by A Line Footwear, (first worn on May 30th 2011) and Tom was holding Suri's Red Trench Coat by Dolce Gabbana Junior, (first worn on July 21st 2009). Suri & Katie went out for a late night snack at Bubby's in NYC on Thursday, 15th. INSIDE, Suri & Katie had some sweet bonding time :)..
Suri was wearing Leopard Floral Pajama Set by At Home collection of Jumpers Sportswear. 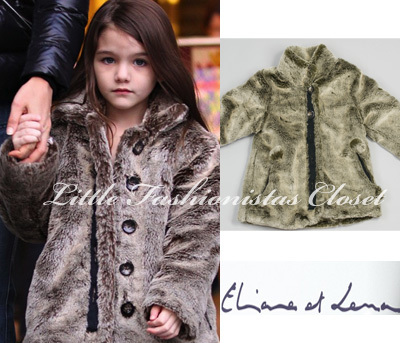 Suri was her favorite Faux Fur Coat by Eliane et Lena (first worn on January 7th, 2011) and Ladybug EMU boots. 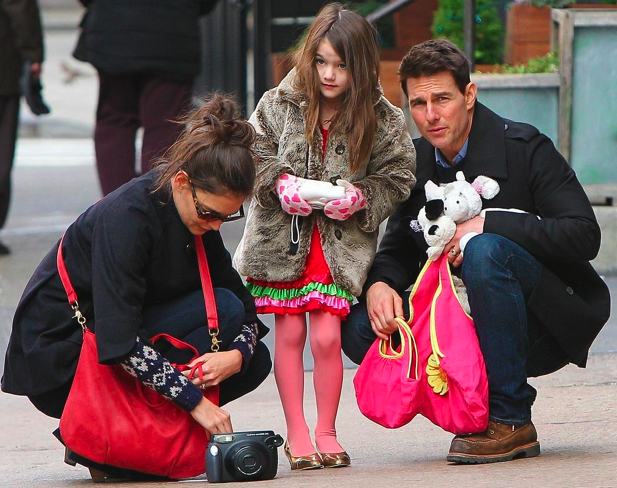 Suri, Katie & Tom went sightseeing in New York on Thursday, 15th. 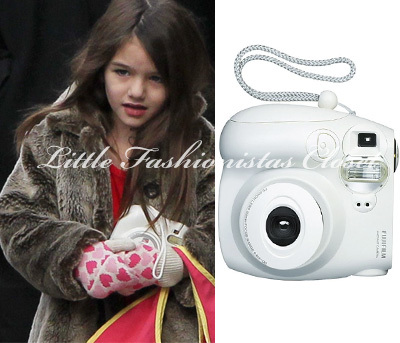 Suri was holding Instax MINI 7s White Instant Film Camera by Fujifilm. ..in the evening The Cruise Family dined at Locanda Verde. Suri was wearing Red Ruffle Dress by Me & Ko. 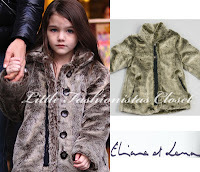 Suri was her favorite Faux Fur Coat by Eliane et Lena (first worn on January 7th, 2011) and Boxed Heart Pop Top Mittens by Juicy Couture (first worn on January 24th, 2011) and Gold Dance Shoes. ...went shopping to toy store FAO Schwarz in New York on Wednesday 14th. 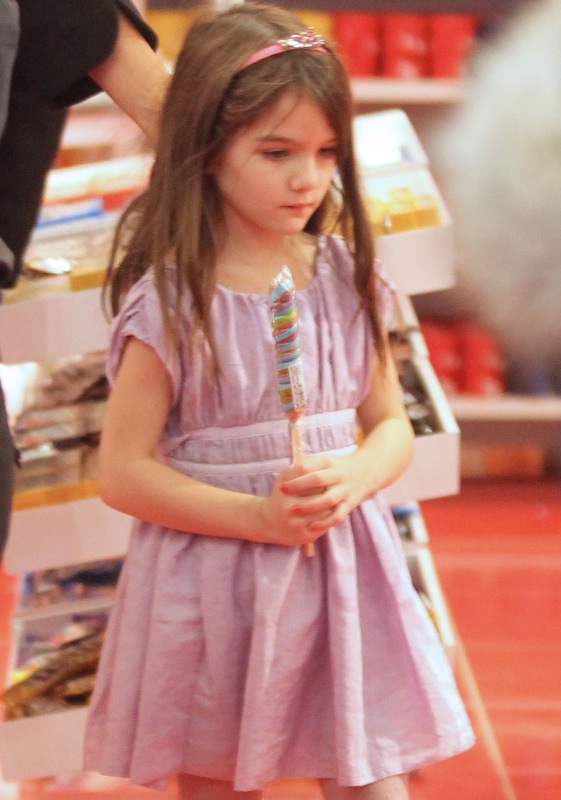 Suri was wearing Broomstick Pleated Dress in Lilac by 3.1 Phillip Lim Kids (first worn on July 10th 2010) and her favorite Faux Fur Coat by Eliane et Lena (first worn on January 7th, 2011) and Gold Dance Shoes and Pink Tiara Headband.